This week sees two former Deilmann ships going to new operators. 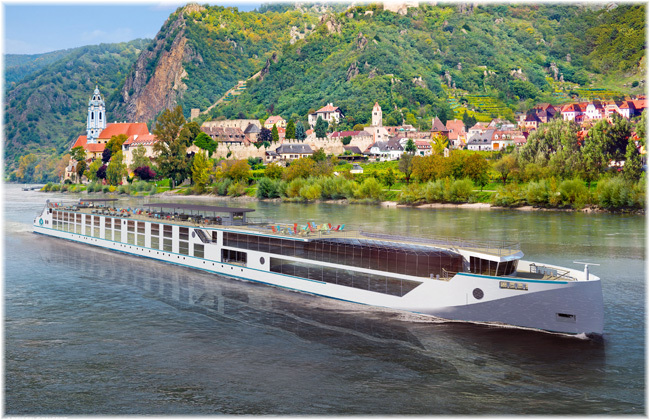 First, the Danube river cruiser Mozart has been purchased by Crystal Cruises for its nacent river yacht operation and second, the ocean-going Deutschland has been chartered from its US owners by Germany’s Phoenix Reisen for five summer seasons. Crystal has also announced orders for two new river yachts from Lloyd Werft. 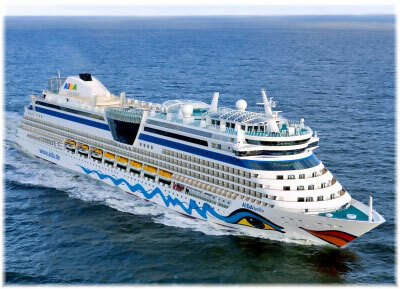 At the same time, AIDA Cruises followed Carnival Cruise Line last week with an announcement that it would be basing its AIDAbella year-round in Shanghai from the spring of 2017. Crystal Cruises last week announced that it would launch its Crystal River Cruises operation a year earlier than planned, in 2016, and that it will now consist of a fleet of five luxury river yachts. Crystal has completed the purchase of the German-built MS Mozart, the largest river cruise vessel in Europe. Rodriguez also announced that in addition to the two river yachts already ordered from its own shipbuilding operation at Lloyd Werft for delivery in 2017, two more vessels had been added to this order. The four new all-suite luxury river yachts will debut in the summer of 2017, with suites of 220 square feet, deluxe suites of 250 square feet, a penthouse suite of 500 square feet and a two-bedroom Crystal Suite of 750 square feet. The new vessels will feature a Palm Court with dance floor and glass domed roof, a library, fitness centre, spa, and sporting equipment such as electric assisted bicycles, kayaks, and jet skis. Designed to the maximum size to fit into the locks and under bridges, two of the Crystal River Yachts will cruise the Rhine, Main and Danube rivers with 110 guests. Two smaller vessels will have an 84-guest capacity and while one will cruise the Seine River the other will be dedicated to the Garonne and Dordogne Rivers as well as the Gironde Estuary. Phoenix Reisen also announced last week that it had arranged a five-year summer charter of the popular 552-berth Deutschland. She will commence her first summer charter for Phoenix Reisen on May 14, 2016, back under her original name of Deutschland. The ship was purchased earlier this year by US owners known as Absolute Nevada LLC and is currently sailing for Semester at Sea as the World Odyssey. World Odyssey is scheduled to conclude her present Semester at Sea winter season in Southampton on April 16. She will then undergo an overhaul to install French balconies on Decks 7 and 8, work that had once been planned by previous owners Peter Deilmann. 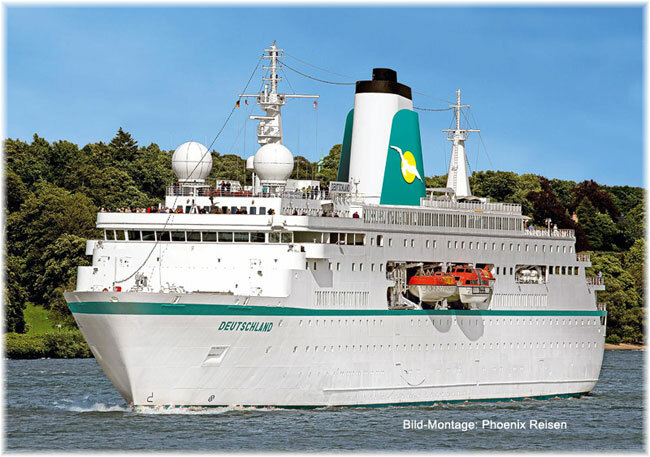 During the overhaul, Deutschland will take on Phoenix livery before her maiden summer cruise to the Norwegian fjords, followed by a sailing to the North Cape and Spitsbergen and a 23-day voyage to Greenland. Deutschland will sail for Phoenix until their summer season ends on September 7 in Bremerhaven. A few days later, she will resume service for Semester at Sea with her next sailing scheduled from Southampton. As Deutschland, the ship had been built by the late Peter Deilmann as the flagship of his ocean and river fleet and christened at Kiel in 1998 by the president of Germany. 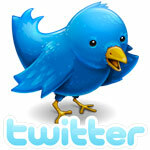 “We are delighted we can bring the Deutschland back to the German market,” said Phoenix ceo Benjamin Krumpen. 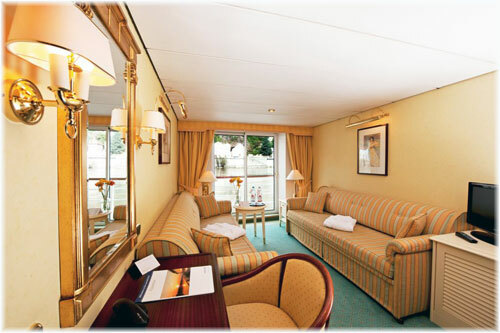 The ship has a loyal passenger base in Germany and fits nicely into the Phoenix fleet, consisting of the 594-berth Amadea, the 862-berth Albatros and the 1,176-berth Artania. A special brochure for the Deutschland’s summer cruises will be released this Friday. Following last week’s news that Carnival Cruise Line would send it’s Carnival Miracle and Carnival Splendor to China in 2017 and 2018, AIDA Cruises has now followed with an announcement that it would be sending its 2,050-berth AIDAbella to be based in Shanghai year-round from the spring of 2017. The adaptation of the AIDAbella for the Chinese market will be assisted by Costa Asia’s nine-year experience in the market, where she will be marketed as a “made in Germany” style of product, with both Asian and German influences. The first formal Sino-German trade treaty dates to 1861, from which time German shipping has taken an active interest in China. Meanwhile, with the Carnival and Norwegian Cruise Line groups having announced their plans for 2017, speculation has been growing that Royal Caribbean Cruises Ltd would soon announce more ships for China beyond Ovation of the Seas in 2016, possibly by adding further existing tonnage to its SkySea joint venture with China’s Ctrip. 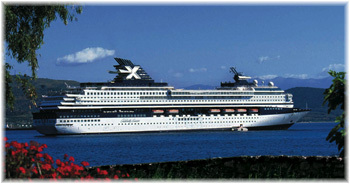 This would supplement the 1,814-berth Celebrity Century, which is now sailing for SkySea as the Golden Era.